You have decided that you want to work as an emergency response provider. Now you must decide if you want to train to be an EMT or Paramedic. Before you can make that decision, you will need to know some of the differences between the two jobs. In the simplest of differences, a Paramedic is at the highest end of the emergency medical services sector. They have more training and education than EMT basics or EMT Intermediates. As such, they are able to carry out more advanced duties to help treat and save patients until the patients can arrive at the hospital to receive care from physicians and other hospital staff. 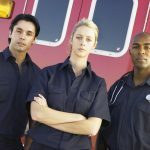 EMTs receiving significantly less training than Paramedics. Their courses are usually between 4 and 6 months in length. All EMTs must first complete an EMT-Basic courses. These courses usually cover 120-150 hours of study. Those hours including not only classroom and lab instruction but also clinical and field experience. If an individual wants to be able to carry out even more EMT duties, they need to then have additional classroom and clinical training to become an EMT intermediate. Even in this case the EMT will still have significantly less training than a paramedic. Paramedics typically receive 1200-1500 hours of training specific to being a paramedic. This also includes many more hours of classroom instruction as well as more hours of clinical and field experience. Many Paramedic training programs are actually part of some type of Emergency Services Associate Degree course. As such, students can spend up to 2 years in school and will complete a more advanced course load including general education classes. 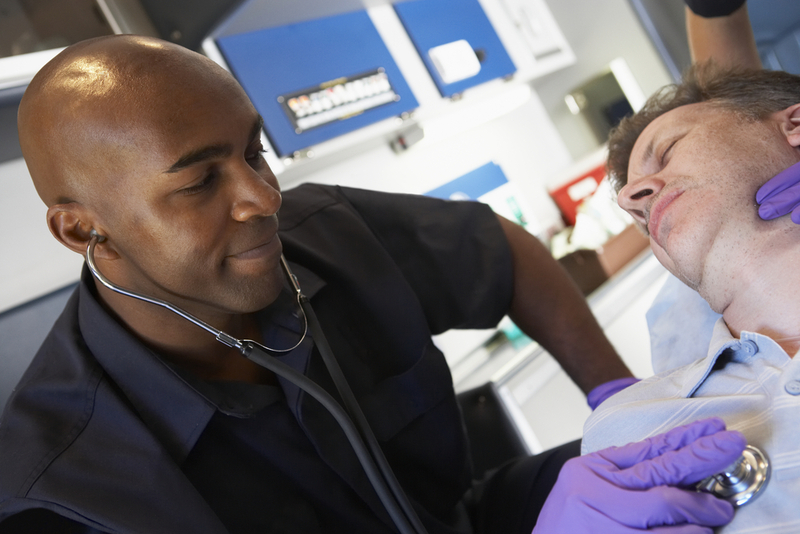 Admissions to become a paramedic might be stricter than for an EMT program. You may be required to already be taking classes at the college before applying to one of these programs. This might include being expected to receive a high Grade point average. Your may be asked to complete certain courses before entering the Paramedic Program. Frequently this will be courses such as Composition, Math and Biology. You may need to take certain college entrance exams and other aptitude tests before enrolling in a Paramedic Degree. In many cases, this would not be required for an EMT program. Your course load will typically be much larger for a Paramedic Program. You will likely be taking for credit college courses. In many cases an EMT program is not for Credit. Because you will be taking full length college courses, you will be covering larger volumes of material and will have significantly more reading throughout the duration of your training to be a Paramedic. Paramedis will learn more in depth about human anatomy and physiology, Pharmacology and medical conditions. They will also learn more advanced and in depth medical procedures. This can involve the need for more background information in the form of classroom lectures and skills lab activities. And, of course, will involve significantly more time gaining supervised clinical experience. There are various duties carried out by both EMTs and Paramedics. The scope of practice will depend on not only the EMTs level of training but also the state of practice. Let’s look at some of the most common tasks and procedures handled by EMTs. EMTs (especially EMT-Bs) are often the people who drive and maneuver the ambulance. EMTs will be well trained in CPR. They can usually administer oxygen and even assist with artification ventilation for patients when needed. An EMT can assist with basic airway management. They will know how to bandage wounds and help control bleeding. EMTS can splint fractures and help to immobilize a person’s spine, neck or head. An EMT will monitor people’s vital signs until they reach the hospital. There are various other things they can assist with as well when treating ill and injured patients. Paramedics can perform any EMT duties but they can carry out much more advanced procedures. In fact, in many states, they are trained to perform a lot of the same care a person could receive in an emergency. It is their job to provide effective critical care to patients in the prehospital settings. There are certain medications paramedics can administer including those needing to go through an IV allowing them to both insert and manage IV treatments. In some regions, Paramedics are trained to create surgical airways and even to perform needle chest compressions. Paramedics will be trained to provide more in depth airway management and more advanced life support procedures. This can include things like intubation and even inserting a breathing tube. They can also be trained to perform mechanical ventilation. A Paramedic may be able to carry out more advanced cardiac care including ECG monitoring, manual defibrillation and even the use of external pacemakers. In many states, Paramedics can receive training for more specialized Paramedic Work. For example, they might be trained for Advanced Pediatric Life Support to care for children in various emergency situations. They can be trained to provide advanced cardiac are until the patient arrives at the hospital. SOme Paramedics are specially trained to provide neonatal care to newborns if a mother gives birth before arriving at the hospital. There are even locations where paramedics can be trained to perform in dept trauma procedures. This is for times when a patient cannot way to arrive at the hospital for these procedures. There are also Flight Paramedics for patients who need care while being airlifted to the hospital. You will have higher earning potential as Paramedic. An EMT may average about $33,000 a year (and even less in some locations). As an EMT-Basic, you must train to become an EMT-I or EMT-P to see much advancement in your career. Paramedics typically earn at least $44,000 per year. In some employment sectors can you earn $60,000 or more as a paramedic especially if you have advanced training and experience. Paramedics are currently in very high demand in both private and government sectors. This creates competitive salaries. There may be more room for advancement in your career as a Paramedic. As mentioned, there are some private agencies that hire their own Paramedics. Certain government agencies also have their own paramedics. The pay rate is usually hire, and as a government employee, they often receive excellent benefits packages. Paramedics can work towards entering into supervising positions which will bring more responsibility but also more earnings and perks. Some paramedics go on to become Directors or Administrators at Emergency Management Service companies. Anyone who wishes to be an EMT-I or EMT-Paramedic will first need to receive the EMT-basic training. Many individuals will actually work for awhile as an EMT before pursuing a career as a paramedic. In fact, some Paramedic programs will actually require applicants to have worked as an EMT for a set amount of time before applying for admission. There are financial assistance programs for both types of training. These can come in the form of things like: scholarships, grants, military benefits and employer tuition programs.. Some tuition assistance programs including those for unemployed individuals might be more readily available for EMT training. Why? Because these programs usually cost significantly less than Paramedic Programs. That being said, in my ways you may find more help to pay for Paramedic School. Paramedic programs are more likely to be for Credits and even to be part of a degree. Some grants are only for students in degree based programs. There are times when certain scholarships are only for those working towards some type of degree. You may also qualify for student loans and even work study programs to help you when you going to school to become a Paramedic. You may even qualify for athletic and other types of scholarships. Both EMTs and Paramedics must take tests to be licensed. They will need to sit for the state certification exam in their state. Paramedic tests may be longer in length. You will need to demonstrate your ability to carry out more advanced procedures if you are testing to become a Paramedic. This can make the skills portion of the exam more difficult. You will need to successfully pass the test for either career before you can be licensed to practice as an EMT or a Paramedic. There may be other tests you need to take to work as a Paramedic in your state. This is especially true if you will be working in one of the specialty paramedic fields. You may require additional credits on a regular basis to maintain your license. Both careers can provide you with an exciting career where you can help others in emergency situations. You will have the opportunity to change and even save lives whether an EMT or a Paramedic. However, you will be trained to carry out even more life saving techniques as a Paramedic. You will have more responsibilities which can include overseeing the work for EMTs. An EMT can spend less time and money on their training. However, a Paramedic can benefit from higher earning and work advancement potential.